Every bloggers have dreams for increase website ranking. But it’s not too simple. You must need to spend too many hours for your blog with good work. 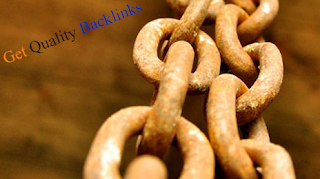 Backlinks is the great ways to success your dreams. If you get quality backlinks, your blog definitely increase website visitors, ranking, popularity and many more. So I decided to share some worthy tactics to get quality backlinks. As we know the basic info about backlinks are really important for every blogs, because backlinks give you a high rank in search engines, also website traffic. Submit some articles in directory sites. It’s give you quality traffic with backlinks. It’s the best way to increase Google page rank fast. Example of article directory: Ezinearticles. It’s the top and best directory site for submitting article. Too many people are using this directory sites to get quality backlinks for their sites. If you can write up to 3 content daily, publish one article each day in other blogs. You just need to find some high page rank and quality site that have some good visitors. Also you need to remember, find the same niche for gust blogging. I mean if your blog is computer technology related, then find some good blogs about technology. Comment on other blogs with anchor text is effective way to get backlinks. It’s easy to comment on other blogs. If you success to find some do follow blogs, you will get quality backlinks. Because do follow blogs is better for increase page rank. You must need to publish relevant comment in other blogs. If you see something like this, “Great posts”, “Nice posts” and etc, your comment is not valuable, also your comment will delete from websites. So first read the blog posts and publish a comment with relevant posts. Find some niche forums sites and join them. You can create thread, comment on forums posts for getting quality backlinks for your blog site. You just need to complete your profile and add your site link in signature area of forum sites. When someone sees your signature and if they click the link, you will definitely get backlinks. If you already submitted some articles on directory sites, you may try this site. Because ehow page rank are 8 that are better than ezinearticles. You can write and publish some articles on ehow without waiting a time. But they have sticky policy, you may not get the accept for publish post on ehow. You can try. It’s really valuable site for increase website visitors with page rank. Social media is the greatest way to get inorganic traffic. After you publish a blog post in your own blog, don’t forget to share it on Google+, Facebook, Twitter and etc. Because you may get some quality backlinks from this sites. Some tips of Google+: Create a Google+ account and complete your full profile with pictures, information. Now, put your site link in about option. You will get a high quality backlinks from Google plus, that are page rank 9. You can buy other blog’s ad spot for put your site banner. You will get quality backlinks if you choose a quality blogs for buy advertisement. Its need some investment, but it’s worthy. If you don’t want to invest your money, ignore the method. Just join some website like Mozilla or Adobe and complete your profile with your website link. You will definitely get some quality backlinks from there. Create some videos and publish it on famous site like YouTube. When you publish the video, make sure you put your site link in description area. It’s the great ways to get quality backlinks from YouTube. Publish your blog posts to reddit, delicious, digg and etc. Just find some social bookmarking sites with great page rank. After publish a new posts, you can share it for bookmark. You can also add a bookmarking widget in every blog posts. When your read see the widget, they will bookmark your blog also. Some company trying to sell quality backlinks for cheap price. Don’t trust them and don’t buy any. Ignore link exchanging method to get quality backlinks. Don’t use any kinds of software for backlinks. Your website will banned or penalize. Thanks a lot for reading my post. If you have any question about backlinks, feel free to comment here. I will try my best to reply your comment. Thanks. A good post and I like reading it very much, thanks for sharing. I got one main question about Google+ related to PR. Few months back, my website PR dropped from 3/10 to 1/10. But, why? Why after a year of actively using G+ my website still remains 1/10? The only reason for drop in PageRank is selling link value. There is specifically no other reason. Did you tried it? For recover the page rank, Research, Publish high quality posts and do your best SEO. Thanks. These are some great linking strategies, if people would actually use them .. Thanks for posting. Would like to see more great posts from you. Glad to know you like my post. Thanks for spend some time to read my post and comment here.. Appreciate it.